Martin Scorsese has continually astonished. A genius behind the camera, he has delivered films of character, beauty & intelligence time & again. Robert Keeling takes a look at the best. Other than fellow Movie Brat Steven Spielberg, there are few other contemporary directors out there who can rival Martin Scorsese in terms of both depth and quality of output. His movies are often brutal and violent, feature twisted and haunted protagonists and address such serious topics as guilt, machismo and salvation. Yet despite these dark ingredients, his movies are continually energetic, vibrant and unforgettable. So many Scorsese moments have become part of film legend, from Travis Bickle’s altercation with his own reflection in Taxi Driver, Jake LaMotta’s run in with his brother in Raging Bull, to that tracking shot in Goodfellas, Marty’s movies burn images into your memory like no other. Marty’s love of the movies is legendary and with his ode to the beginning of film, Hugo, out this week, it seemed a good time to look back at the great man’s back catalogue and pick out a top ten. There are some notable absentees from this list, but it’s always hard to narrow such a great body of work down to just 10 selections. Scorsese the film buff must have relished making a film based on the life of Hollywood director turned aviation pioneer Howard Hughes. Marty got to recreate the golden age of Hollywood on screen and the lavish sets and meticulous attention to period detail are a joy to behold. It’s the director’s passion for this bygone era of filmmaking which makes the film so wildly entertaining. DiCaprio is also outstanding as the eccentric Hughes, a man crippled by his own phobias. The troubled central character, whose inner demons contribute to their spectacular fall after an equally spectacular rise, is quintessential Scorsese. Scorsese’s remake of the classic thriller starring Gregory Peck and Robert Mitchum is not always considered one of his very best and is often forgotten amongst his catalogue of classic movies. For me though it’s still a tense and powerful film with arguably DeNiro’s last great movie role to boot. Scorsese built on the original movie and rather than a straight forward battle of good versus evil, he creates a strange situation where the vicious and dangerous thug has some legitimate grievance against the morally suspect defence lawyer who handled his case. Scorsese revels in creating a film far removed from his usual output and channels his inner Hitchcock to great effect. 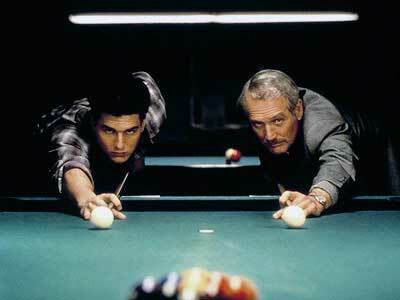 Here Scorsese revisited the fortunes of pool hustler Fast Eddie Felson (Paul Newman) some 25 years on from the character’s first outing in The Hustler. Newman won an Oscar for his performance and he is truly on top form as the former great who lost it all. He takes a young protégé called Vincent under his wing, played with considerable spark by Tom Cruise. The duo, accompanied by Vincent’s girlfriend Carmen, set off across the states hustling pool halls and in the case of Eddie, trying to rekindle his former glories. Pool has never looked so exciting on screen and the smoke-filled halls become electric theatres for Vincent and Eddie to do their work in. It’s easily one of the most ‘fun’ Scorsese pictures, without the dread and violence that lingers over so many. The soundtrack is as top draw as ever, with Warren Zevon’s Werewolves of London given a degree of infamy thanks to Cruises’ pool-cue posturing. 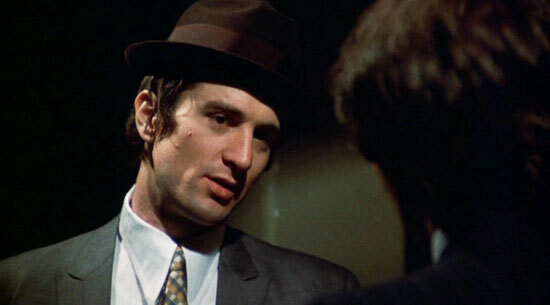 It’s the film that introduced the world to Martin Scorsese, his early muse De Niro and the dangerous stories of tough street guys that became his calling card. The themes that came to pervade throughout his work all have their roots here with the Catholic guilt of Harvey Keitel’s Charlie and the troubled violent mind of De Niro’s Johnny Boy. 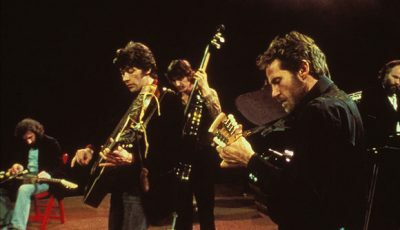 As well as setting the blueprint for so much that follows Mean Streets has an unmistakable raw power. Scenes such as the pool hall fight are up there with the most visceral Marty ever produced. 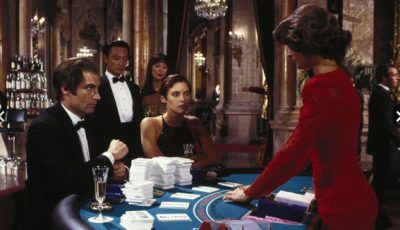 Often unfairly written off as Goodfellas flashier sibling, Casino is a sprawling mafia epic in its own right. The story is set in Las Vegas amidst the glare of neon lights and air of 70’s decadence. De Niro is Sam ‘Ace’ Rothstein, an expert gambler sent by the Chicago mob to run their Casinos on the strip. Along for the ride are Joe Pesci, whose Nicky Santoro is admittedly in the similar hot-headed vein as Tommy in Goodfellas, and Sharon Stone as Ginger, a gold-digger and lush who Ace falls for. The glitz and the glamour inevitably go to their heads and the mob’s control over Vegas begins to slip as the FBI close in. Scorsese again depicts the highs and lows of a life spent in the mob and Casino is every bit as entertaining as it’s predecessor. All three leads are on fine form, with Pesci’s Nicky one of the great screen psychos. Scorsese’s love of his native New York is well documented but of all his films to be based in the big Apple, it’s only Gangs of New York which focuses on the genesis of the city itself. Gangs is a brutal film that looks at the violence and gang warfare which plagued the city in its infancy. DiCaprio is superb as Amsterdam Vallon, a determined young man who returns to the infamous Five Points district to avenge his father’s slaying by the monstrous Bill the Butcher (Daniel Day-lewis). Day-Lewis is electric as Bill, a cold-blooded and steely eyed killer who rules the slums with an iron fist. The period sets are vital to the movie and Scorsese’s epic drama looks incredible throughout. Far from being an affectionate love letter to NY in the vein of Woody Allen’s Manhattan, Gangs is Scorsese turning his eye on the violence and suffering that, for better or for worse, shaped the city into what it is today. Scorsese finally bagged a best director Oscar for this American remake of Hong Kong gangster epic Infernal Affairs. The director again turns his attention to the inner workings of organised crime, this time the Irish-American underworld as run by a thrillingly psychotic Frank Costello (Jack Nicholson ). Leo DiCaprio and Matt Damon are both on fine form as the undercover cop and crook respectively. 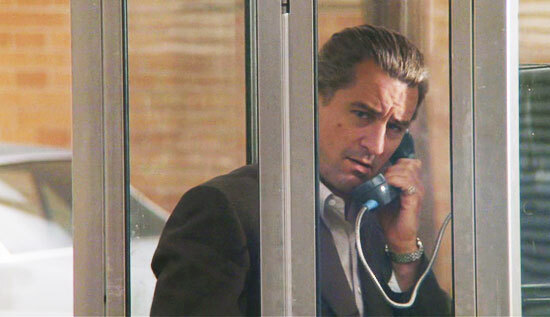 Scorsese immerses us in the dark underbelly of gangster life and provides a proper cops and robbers style thriller where each side seeks to out do the other. You’re never sure which side you are meant to be on when you’re watching but in many ways it doesn’t really matter. The lead actors are all so good and the story so tight, you just get carried along with the action. 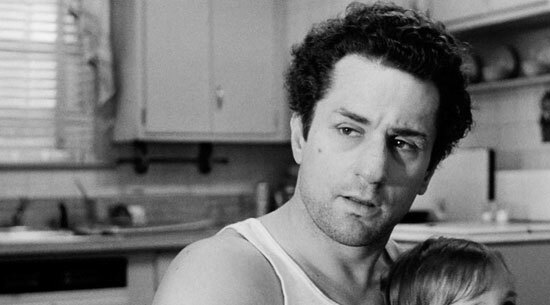 A true artistic masterpiece, Scorsese’s Raging Bull chronicles the rise and fall of boxing legend Jake La Motta. De Niro gives yet another mesmerising performance as the tortured pugilist whose temper and self loathing comes to cripple his boxing talent. The in-ring scenes are some of Marty’s best ever work, the brutality of the boxing offset by the poetic beauty of the monochrome footage and the close-up shooting style. As you’d expect from a movie that deals with anger, violence and domestic abuse, it can be a tough watch at times but the raw emotion that De Niro and Scorsese extract from La Motta’s tormented character is so powerful you can’t look away for a second. “As far back as I can remember, I always wanted to be a gangster.” With those immortal words, Henry Hill (Ray Liotta) begins his journey through a life of crime and invites us all to along for the ride. Goodfellas is a wonderfully immersive and gripping movie that doesn’t rely on complex narratives or plot twists to drive it along, rather it simply shows you snapshots of real gangster life and lets the images speak for themselves. What we see is the rise and fall of one crime family coupled with the tribulations of Henry’s fraught relationship with wife Karen. 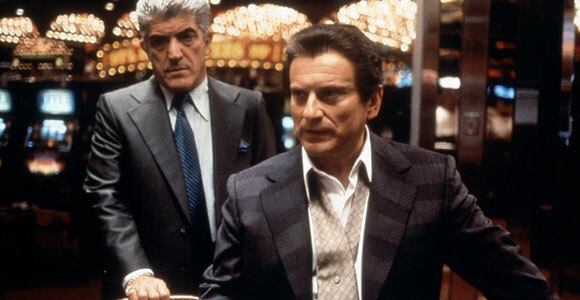 Liotta delivers a career best performance as Henry, Robert De Niro does steely eyed menace to perfection as Jimmy and Joe Pesci is just plain frightening as live wire Tommy. Scorsese’s love of music is renowned and here the pop soundtrack is every bit as vital to the movie’s charm as the visuals. 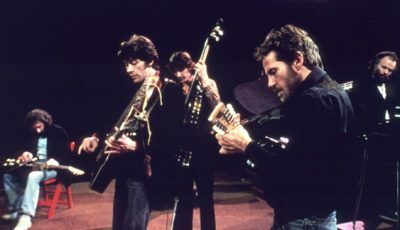 Diverse tracks from Cream’s Sunshine of your love and The Shangri-La’s Leader of the Pack, to Tony Bennett’s Rags to Riches are all utilised to perfection by Marty. Nominated for 6 Academy Awards but winning only one (Best Supporting Actor Joe Pesci), Scorsese lost out on yet another Best Director gong in favour of Kevin Costner for Dances With Wolves. Despite what the Academy may say though, for me this is Scorsese’s masterpiece and is one of the most captivating movies of all time. I’m not well-versed on Scorsese so this is quite enlightening, Robert, thank you. I’ve been meaning to check out Goodfellas for a while and since you put that on the top, I’m even more curious about it now. Btw, have you seen Hugo? If so, where does that fit in this list?? Cheers Ruth. Glad you liked it. You can’t go far wrong with Goodfellas really. A masterpiece! One more thing I’d say about it, it actually makes me hungry when I watch it. Those gangsters know how to eat. Hugo is really good. Definitely worth a watch and the 3D actually works for once. It’s a strange one because it’s so different to all of Scorsese’s other movies, it’s almost hard to compare. I don’t think it would quite bump anything out of the top 10 but it’s definitely up there. Maybe after multiple viewings though…. Ah, one of my favourite filmmakers is the subject of the current post, and number of films included in the present Top 10 are among my favourites as well. However, that said, given the inherently subjective nature of any list, I would have probably ordered it differently. 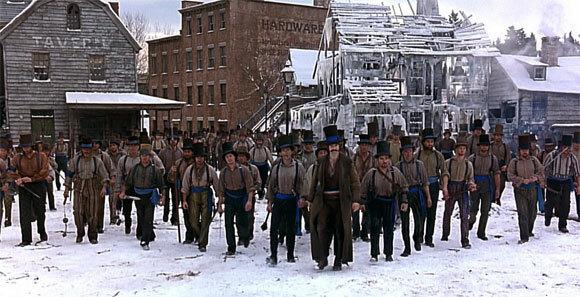 For instance, Gangs of New York wouldn’t feature anywhere near the top. Among his recent movies only The Departed, I felt, lived up to his stature. The others, like Gangs, Aviator, etc., though not essentially bad films, paled in comparison to his best works. And speaking of his best works, well, there really remains among the great American masterpieces to say the least. Taxi Driver still tops the list for me. Great list Robert, and welcome to the Top 10! For me, the top 3 you’ve chosen are practically interchangeable… thay’re all classic films each deserving of a spot at the top – and thank God you didn’t include Shutter Island. 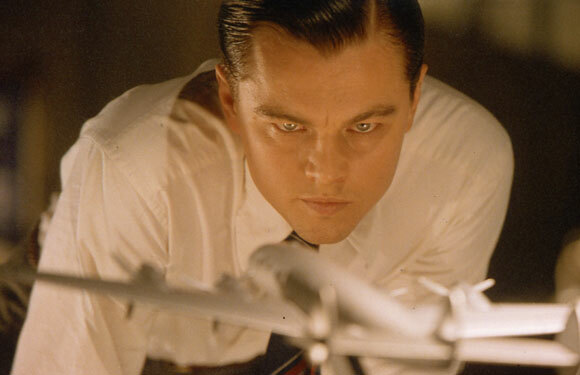 Which reminds me, I must watch The Aviator again, and soon. I love all of those films. Especially Gangs of New York. Mainly for DDL, he is awesome!! 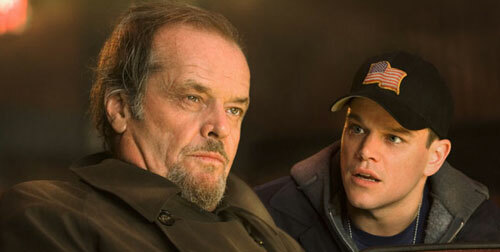 @Shubhajit: Glad you mentioned The Departed…that quickly became one of my favourite Scorsese films. I thought it was a terrific piece of film making from a man who knows his craft inside and out. The order is perhaps the most difficult thing with a filmmaker like Scorsese. There are two films I would include in my top 10 that don’t feature here and both would be placed in the top three. But there’s such a great body of work to choose from. Kundun is one of my favorite movies of all time. It always seems to get forgotten or go unseen, but it moves me to tears every time I watch it. Nice list Dan. I would probably have Shutter Island somewhere at the bottom of the top 10. Can’t argue with the order or ranking for the most part although the top 3 can easily be switched around without any controversy. Awesome list of one of my favorite directors! My list is a little different, especially at the top where I would have “Taxi Driver” first instead of “Goodfellas”. Definitely looking forward to “Hugo” to break into this top 10. Good list! Hugo was excellent. I’ve only seen two of these – The Departed and Gangs of New York – but I think he definitely deserves his reputation as a great film maker. 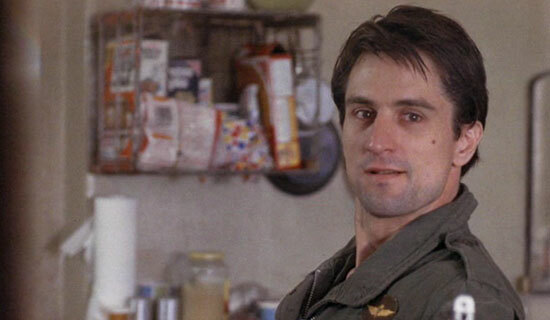 Taxi Driver and Goodfellas are on my ‘to watch’ list so hopefully I’ll check them out soon. I want to see Hugo as well. I prefer his smaller, less violent pictures. I reviewed the titles below for my Scorsese director blogathon in 2011, here’s my top 5! Good list…although I would of put Taxi Driver as number 1 without a doubt, the film is groundbreaking in character study. I also would of put King of Comedy in the list instead of Gangs of New York. Goodfellas stay number 2 and Raging Bull at 3 as stands! Although not technically a Scorsese film I do want an honorable mention of After Hours which is directed by Scorsese and written by Joseph Minion It is such a good zany offbeat New York City film. 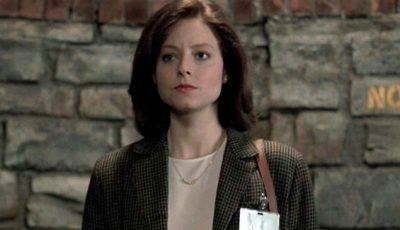 Griffin Dunne does a fine job as a word processor in an attempt to score with a lady while encountering all these crazy characters, just trying to get back to his apartment in soho. Ah, brilliant list you have here Robert. I do love Scorsese, and I am always happy when he and DiCaprio come together – PERFECTION! Ah yes, the great Martin Scorsese.